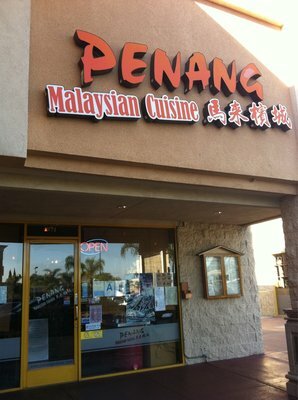 Penang Malaysian Cuisine. That’s where the three of us girls went for lunch today. Our good friend Ms. E treated Veggie Girl and I to a casual lunch, and since I have never tried Malaysian food before, I was so excited to educate my palate once again. For starters, we ordered Roti Canai. It’s the first item on the Appetizers list, and what a fun looking food item this is. It’s very thin dough served warm with a mildly sweet flavor. 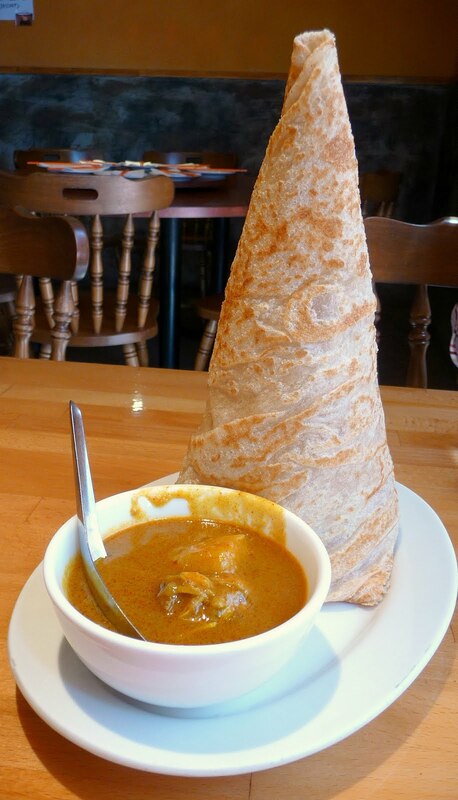 On the side is a small bowl of yellow chicken curry where you take pieces of this “bread” and dip it in the curry sauce. 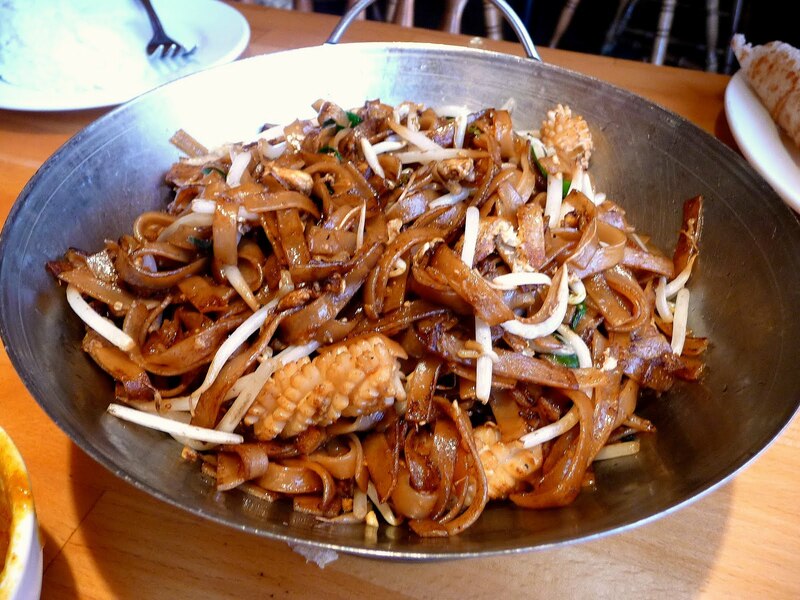 Char Kway Teow. This is a noodle dish made of thin rice noodles. I can only guess that soy sauce was used in this dish, cooked in a wok because of the “wok hee” flavor. Shrimps, squid, and bean sprouts are part of this dish. I really enjoyed this dish. It was good. Although Veggie Girl insists that I have to try the ones in Malaysia. To quote her words, she says “it will blow your mind away.” Although she says it’s not bad, but it’s nothing like the real thing from Malaysia. Kang Kong Belacan. Kang kong is a vegetable grown in water paddies. 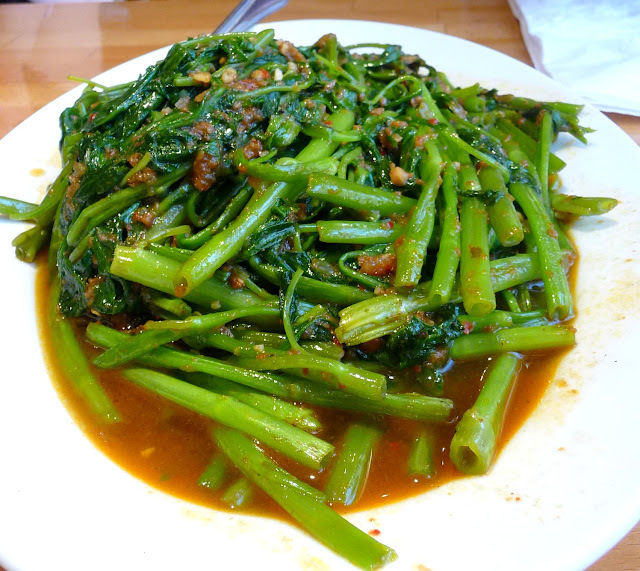 Also known as water convolvulus or ong choy, it closely resembles spinach in it the way it looks and tastes. Belacan is a spicy shrimp paste used to cook this in. Another good dish in my opinion. The belacan does not taste very shrimp-y and it had a mildly spicy flavor. The kangkong was cooked just right where the stalks are crisp, in fact even crunchy. 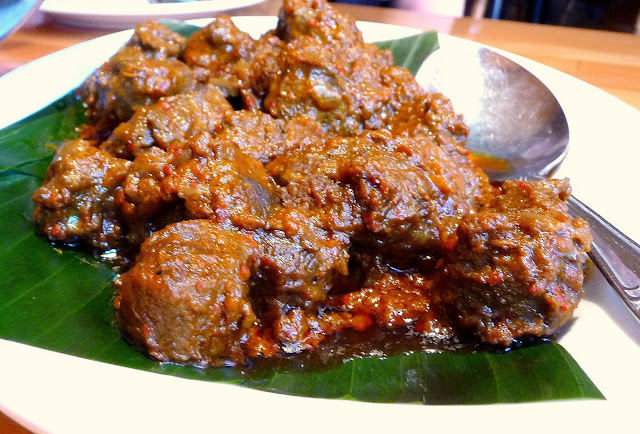 Beef Rendang. Tender beef cubes cooked in a stew of spices in a thick sauce. Rich and thick, the sauce sticks to the beef. It has a bold combination of spices that I cannot identify exactly what’s in it. I can almost compare it to the flavors of some Indian dishes. I could also imagine that those flavors will work well with lamb. 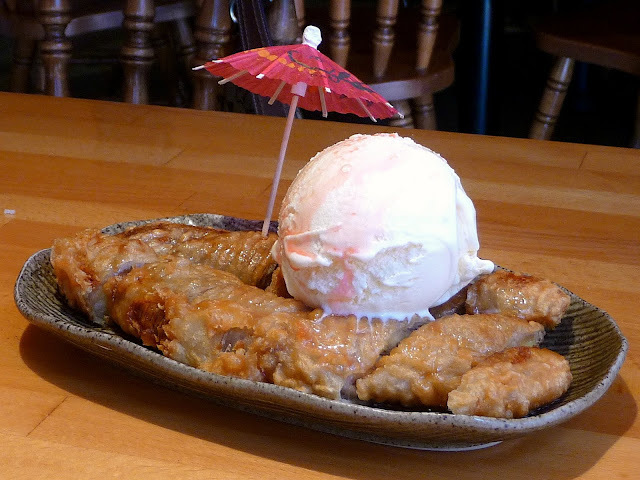 And for dessert we shared Goreng Pisang topped with ice cream. Goreng Pisang is fried banana where the fruit is dredge in an egg and flour batter then deep fried. It is almost like banana tempura, although the batter is different from the Japanese tempura. I am liking their entrees. They have a lot of popular dishes from Malaysia. I can't wait to go back to try more dishes. Thank you for visiting.